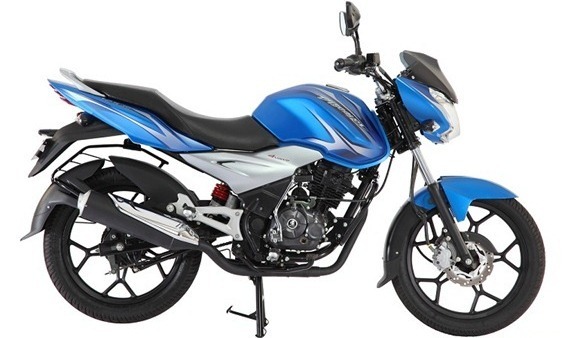 Bajaj unveils its Sporty Commuter, the Discover 125ST.. with a 4 Valve per cylinder engine and monoshock..!! The commuter class bikes in India gets sportier with the launch of the new Discover 125 ST. The ST it seems stands for "Sports Tourer", not in the CBR250R, VFR1200 kind of way but more so from the perspective of an average Indian commuter. What’s New in the new Discover 125 ST? First Impression on the Design: From what is seen from the photos of the Discover 125ST, the rear of the bike seems a bit busy with its "split tyre hugger + a conventional rear fender" combination. Same goes for the design of the alloy wheels. The rest of the bike seems pretty sporty for a commuter. The tank seems pleasingly muscular. The slightly raised rear seat imparts a sporty look. 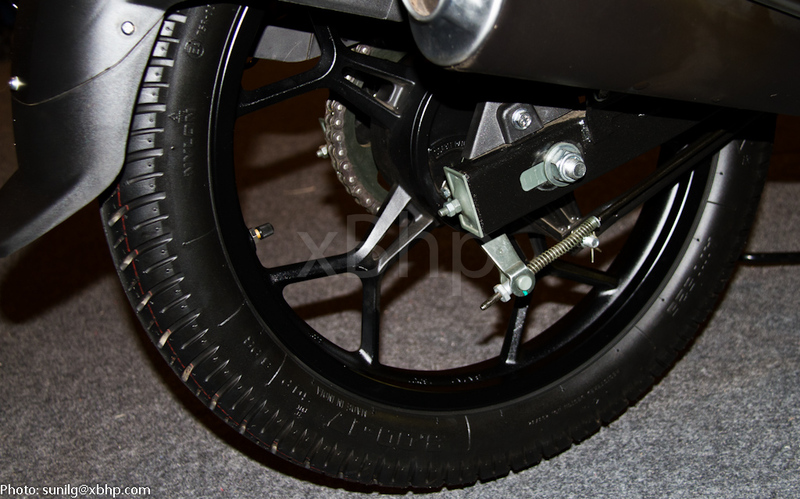 The Discover 125ST also gets a front disc brake and half chain cover. The decals of the bike does carry forward the old/original Discover lineage in its design. 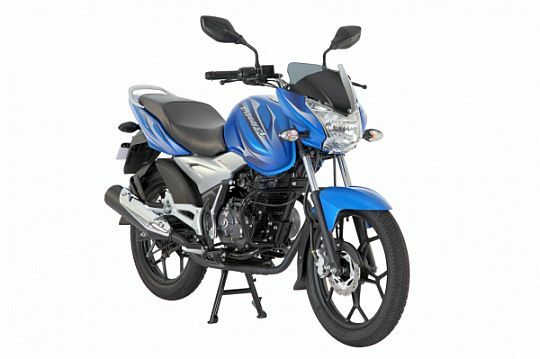 Discover 125ST Price and launch date: The price of the Discover 125ST has not been made official till now. 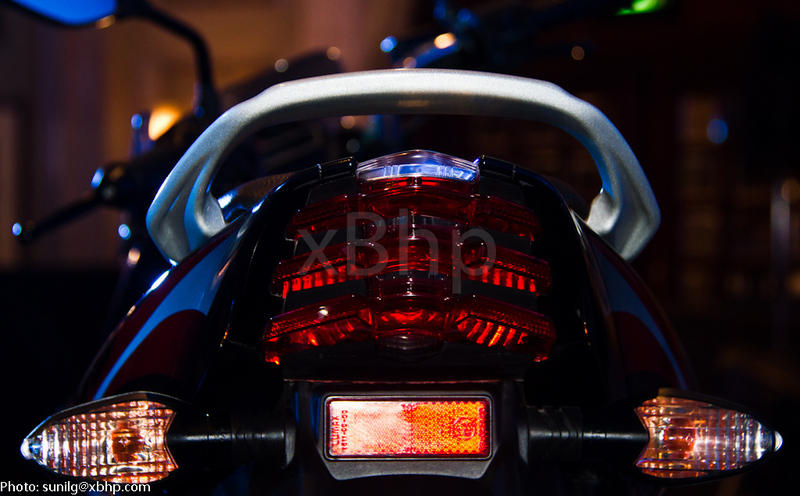 As for the launch dates, the bike should be available in the market by the end of June 2012. Let me know your reaction to the Discover 125ST. Does it rock the commuter boat? sports tourer gud joke...:P...clipons on naked bikes..wats goin bajaj? is it goin hero moto way? Nicely proportioned bike. Monoshock is a welcome addition. Alloys look flimsy. Front disc is puny. Does looks sporty alright. a sports tourer? surely not.bajaj should have branded this as a premium commuter rather than sports tourer. i remember people bashing at yamaha for positioning fazer as a touring motorcycle. ya it does look like a GS150R but with a mono-shock. analogue speedometer why?? so the digital ones not workin?? how long bajaj is goin keep this product in market?? 6 months or 1 year?? Tank looks same as P135LS without scoops.. remember guys GS150R itself is a copy of Unicorn + Pulsar. As far as the bike goes, sports tourer is definitely over kill, could have called it as sports commuter or discover executive or something like that. Overall the bike looks very proportionate, rear tyre hugger looks a bit overdone, but I think it's not a spoiler. Looks like Bajaj wants youthful image to their 125cc+ bikes, which is a very clever move. So, when does the P150NS & P200 with full fairing come to the party?? I like the alloy wheels. Best yet on Bajaj. It's quite nicely done. Face it.. Mono shock, 4 valve engine, nice alloys a different look, good p2weight ratio.. As a product it's killer. So what If u don't like the mudguard remove it! Good features. 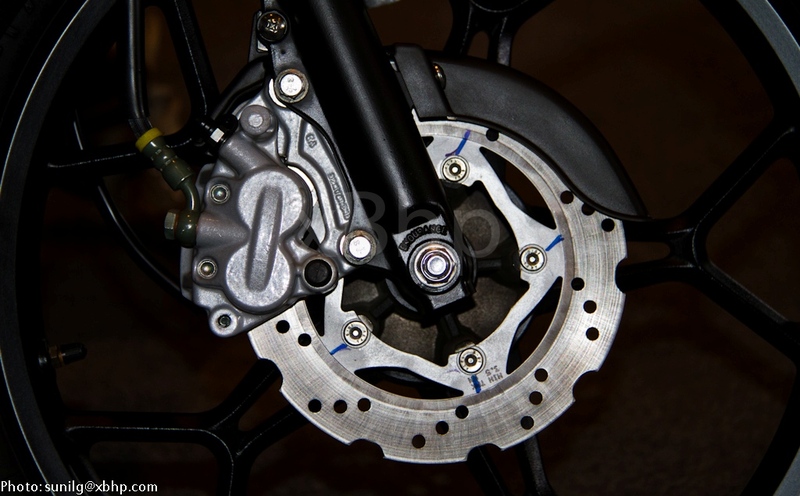 It will be the cheapest bike with a mono shock. It's a winner already. If u don't like the mudguard just remove t, for crying out loud! - On more Discover ??!! Very good styling for a commuter motorcycle. What ever companies may call like "sports commuter" "sports bike" "premium sports", At the end of day, its used only for commuting with fun while driving. Exhaust tip looks bad with chrome touch up, Instead they should have all black silencer / exhaust pipe. This is a sure hit among masses provided priced correctly. 2. Am eager to see how the 4Valve engine feels (expecting a stress free engine) and also how the bike rides & handles with the monoshock. why twin spark tech?? 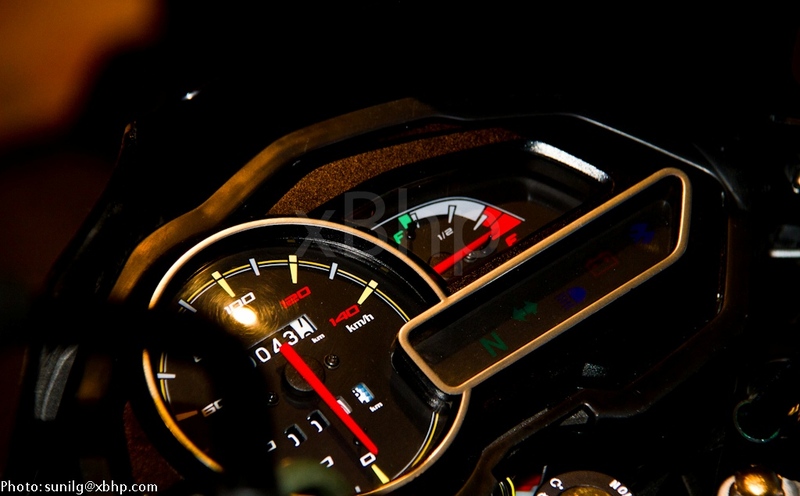 may be next year bajaj goin to launch new 2013 discover with triple spark...:P...how long this stays in market?? biker next door any answer?? payeng, the torque figures need a revisit. further, the new bike looks a mess to me. 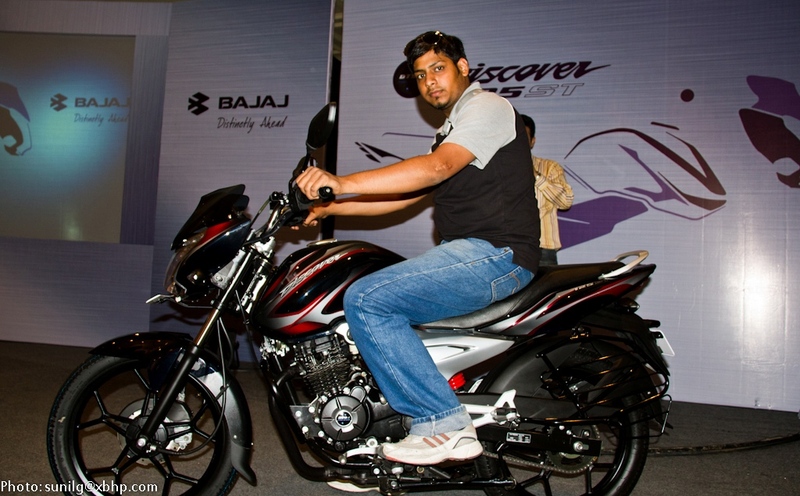 bajaj so far has been successful in establishing the brand image of discover as a simple yet elegant commuter. it never had any sports element associated along, and why? we dont have to have all the bikes to be sporty… this new avatar of discover only goes to hamper the identity of an already stable product in the market by confusing its consumers to what category does the product fall in? if a consumer is looking for a sporty character, he already has a range of as many as five pulsars to choose from. why discover? an elegant, well-proportioned, decently designed, fuel efficient bike for matured men, to be used to do to-and-fro office but better than the platinas and splendors; has been the definition of discover in indian minds so far. with this bike, not anymore. and not every bike needs to have monoshocks, if yes, harleys would have installed them long back. To conclude, be it international or Indian, by no standards, this bike is a tourer… no 125cc mill ever can munch miles smoothly and this would be no exception. I have edited the torque figures in "Nm" along with "Kgm" as well. The new Discover 125ST probably got the new stlying as it will co-exist with the current Discovers.. same styling would not have differentiated the 4Valve engine + monoshock set up. Wow, I was expecting this to be a 150 cc. But putting a 125cc mill Bajaj might be too optimistic in giving this bike its worthy place in the market & their line-up (considering the P-135 and Discover 150). If I were a P-135 buyer/owner, I'm gonna feel cheated as hell when I see all the equipment on this bike that the 135 doesn't get! This bike eliminates the need for the Pulsar 135LS which is just marginally higher Power 13.5 @ 9000 RPM, Torque 11.4 @ 7500 @RPM & Kerb Weight 122 kgs is almost the same. So for people who by these bike are people who want mileage with a bit of speed. So this is a no brainer choice to make over the Pulsar 135LS since this is going to be cheaper & also almost the same in the power & torque as the Pulsar 135LS & also has a big plus point which is it has a Mono-Shock at the rear, which means really good handling. 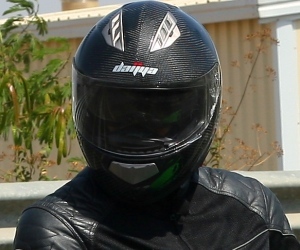 Bajaj has not been able to successfully establish brand identities for new bikes except for Pulsar and Discover. They messed up the XCD range with half baked products and abandoned those models within a short while much to the irritation of customers. So basically they are not confident in giving new names for any of their bikes. Already the discover range is crowded and this bike will lose its identity in that range. That said, this is a nice attempt..
What is CV Carburator? Whether it means CONSTANT VOLUME CARBURATOR? It seems the bike is using a hybrid diamond tube/lower double craddle chassis, and that might enable the bike to accomodate BOTH type of air cooled engines from BAJAJ's stable, the 2 valve classic Pulsar (which already mounted in Discover 150) and 4 valve ex P135 which was applied in this type, 125 ST. This will allow good flexibility in production line + mix 'n match marketing strategy, i'd say smart move, Bajaj ! 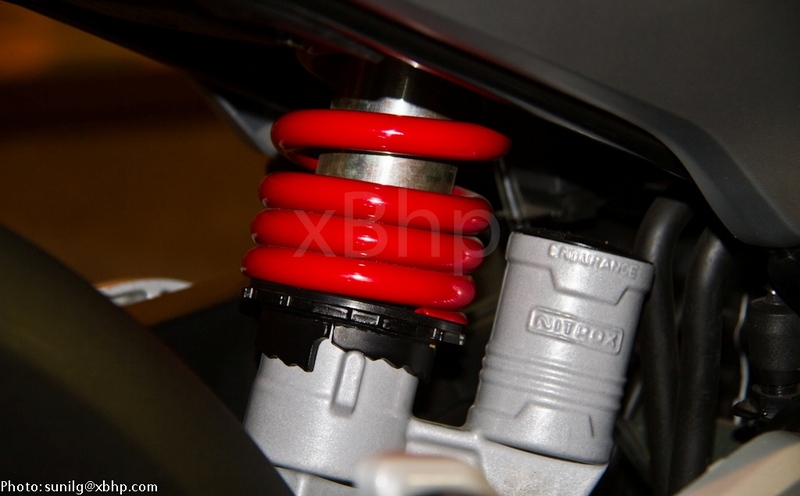 Will it be possible to adapt a similar type of mono shock suspension used in this bike for a Pulsar 135. I don't think BAJAJ will discontinue Pulsar 135 LS so early, even with the advance of this Discovery bike. 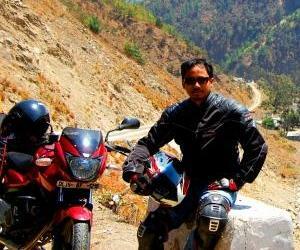 Both serve different niche of the market, and that Pulsar is very good as an entrant bike for younger guys into Pulsar's sporty genre bike. I can vision a major upgrade for P135 LS though, getting the same chassis & suspension from this D125 ST, with tweaked & improved engine to along with that. Well, perhaps a merge beetween P135 LS and P150 is warranted, they're kinda overlapped. Develop a 150 cc engine from P135 LS engine base, equipped with oil cooler, with 15+ PS output, that would be a killer with the new chasis & monoshock suspension. 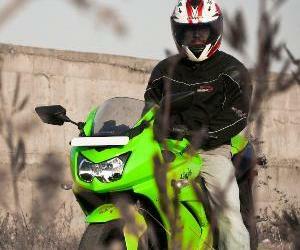 Mileage is the criteria for those commuting from 100 cc to 125 cc bike. So, whats the mileage? got bored of this pulsar and dtsi family.....anything new?? Looks,mileage,mono shocks etc is okay for this bike. What about engine durability? Normally, bajaj bike's parts will start shaking after six months of ride. 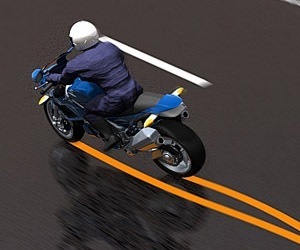 Which one is better Discover 125 ST or Pulsar 135 ???? 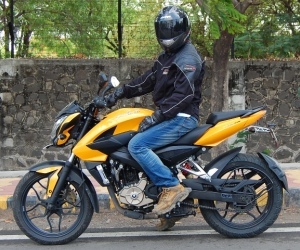 I feel that bajaj discover 125 st is a better bet that bajaj pulsar 135 ls.If one is getting power,mileage and style with a cheaper price than why go for pulsar brand?Go for discover 125 ST. Discover has been famous & known for several long years so people trust it...bt ppl lik u go 4 flimsy bikes..